Inland Equine Veterinary Service, led by Dr. Scott Habegger, has been helping horses and their families for over twenty years. We currently have a service area covering the greater Spokane area as well as the communities of Cheney, the West Plains and the Palouse region. Our mission is to increase the health and welfare of the horse by providing prompt, professional and compassionate veterinary care. We will always strive to serve you and your horse with honesty, integrity, loyalty, and knowledgeable veterinary medicine. Inland Equine does this by providing services such as radiography, diagnostic ultrasound, dentistry, and advanced reproductive techniques. At Inland Equine Veterinary Service we strive to offer not only sound advice, but also optimal veterinary care, thus allowing you the enjoyment of your companion for a maximum number of years. 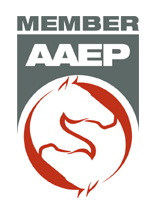 Our fundamental philosophy is to first understand your needs, goals, and individual situations in order to provide the most sound advice and healthcare for your horse. For this reason we believe that it is very important for us to develop a close relationship with you, one that is based upon mutual trust and open communication.